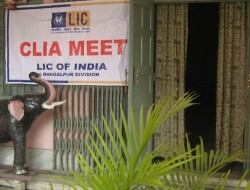 Meetings & Conferences at The Vijieya Hotel Saharsa, Bihar. Vijieya is the perfect meeting and conference hotel in Saharsa. Conference hall at our Hotel is ideal place of Meeting and Training for Corporates. Hotel Staffs at Vijieya will be delighted to assist you in organizing a Conference, Training Sessions or Presentations. At The Vijieya Hotel, comprehensive meeting and banquet facilities are designed to accommodate up to 100 guests. Meetings and events are held in one of 2 banquet halls, equipped with state of the art technology and tailored to fit the needs of corporate and business travelers. Hotel provides you the Buffet Facility to held your business dinner/lunch with the meal and items prepared freshly at our hotel’s restaurant.